Tenor Jason Vest enjoys a full life as an active musician and educator. Vest is a versatile performer who enjoys equally the challenges of opera, concert, recital, and professional choral work. He has been featured with Cincinnati Opera, Amarillo Opera, Stara Zagora and Plovdiv opera houses in Bulgaria, Cincinnati Chamber Orchestra, and many others. Vest has worked with composers to premiere their works in roles he originated or debuted, such as Douglas Pew’s The Good Shepherd and Bradley Ellingboe’s Star Song. As a recitalist, Vest delights in the opportunity to communicate closely with audiences and has performed for the Mexico Liederfest in Monterrey and the Vocal Artistry Art Song Festival in Albuquerque. Vest’s album of Richard Hundley’s songs, Evening Hours, will be released through Roven Records in the fall of 2018. Vest is a member of the Grammy-award winning choral group, Conspirare, under the direction of Craig Hella Johnson. He also sings with the Vocal Arts Ensemble, the Bach Ensemble of St. Thomas, and the St. Peter in Chains Cathedral Choir. 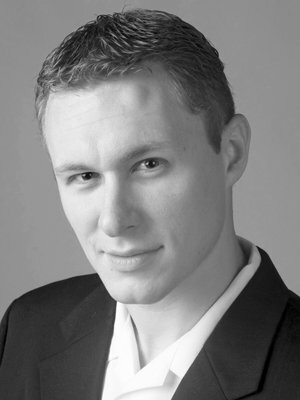 Jason Vest is a voice professor at Northern Kentucky University. He completed his Doctor of Musical Arts Degree at the University of Kentucky after earning a Bachelor of Music from Butler University and a Master of Music from Brigham Young University. Jason is a staff writer for Classical Singer magazine and has also published in the Journal of Singing.